How do brain chemicals influence who wins a fight? In nature, animals compete for resources. These resources include space, food, and mates. Animals use aggression as a way to capture or defend these resources, which can improve their chances of survival and mating. Aggression is a forceful behavior meant to overpower opponents that are competing for the same resource. The outcome (victory or defeat) depends on several factors. In insects, the bigger individuals often win. However, if two opponents are the same size, other factors can influence outcomes. 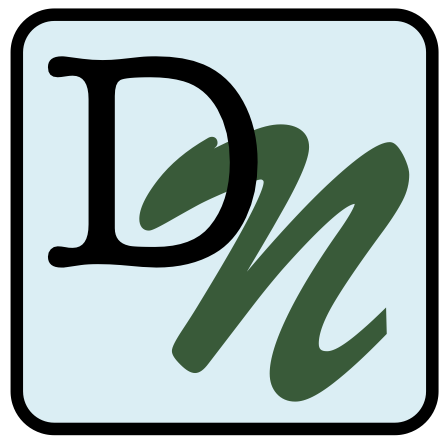 For example, an individual with more experience may defeat an individual with less experience. Also individuals that are fighting to gain something necessary for their survival have a strong drive, or motivation, to defeat other individuals. Researchers Andrew, Ken, and John study what role an animal’s brain plays in regulating behavior when motivation is present. They wanted to know if specific chemicals in the brain influenced the outcome of a physically aggressive competition. Andrew, Ken, and John read a lot papers written by other scientists and learned that there is a brain chemical that plays an important role in regulating aggressive behavior. This chemical is called serotonin and is found in the brains of all animals, including humans. Even a small amount of this chemical can make a big impact on aggressive behavior, and perhaps the outcome of competition. The researchers decided to do an experiment to test what happens to aggression during competition as serotonin levels in the brain increase. They used stalk-eyed flies in their experiment. Stalk-eyed flies have eyes on the ends of stalks that stick out from the sides of their heads (Pictures 1 & 2). They reasoned that brain serotonin levels in stalk-eyed flies influence their aggressive behaviors in battle and therefore impact the outcome of competition. If their hypothesis is true, they predicted that increasing the brain serotonin in a stalk-eyed fly would make it more likely to use aggressive behaviors, and flies that used more aggressive behaviors would be more likely to win. Battling flies use high-intensity aggressive attacks like jumping on or striking an opponent. They also use less aggressive behaviors like flexing their front legs or rearing up on their hind legs. 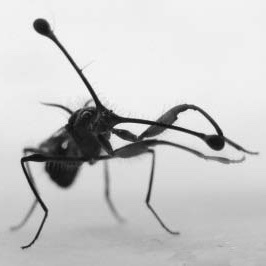 Two stalk-eyed flies rearing/extending forearms in battle. Photo credit: Sam Cotton. To test their hypothesis, the researchers set up a fair test. A fair test is a way to control an experiment by only changing one piece of the experiment at a time. By changing only one variable, scientists can determine if that change caused the differences they see. Since larger flies tend to win fights, the flies were all matched up with another fly that was the same size. This acted as an experimental control for size, and made it possible to look at only the impact of serotonin levels on aggression. The scientists also controlled for the age of the flies and made sure they had a similar environment since the time they were born. The experiment had 20 trials with a different pair of flies in each. In each trial, one fly received corn mixed with a dose of serotonin, while another fly received plain corn as a control. That way, both flies received corn to eat, but only one received serotonin. Each pair of flies was placed in a fighting arena and starved for 12 hours to increase their motivation to fight over food. Next, food was placed in the center of the arena, but only enough for one fly! The researchers observed the flies, recording three types of behaviors for each opponent. High intensity behaviors were when the fighting flies touched one another. Low-intensity behaviors were when the flies did not touch each other, for example jump attacks, swipes, and lunges. The last behavior type was retreating from the fight. Flies that retreated fewer times than their opponent were declared the winners. After the battles, the researchers collected the brains of the flies and measured the concentration of serotonin in each fly’s brain. There is a scientific paper associated with the data in this Data Nugget. The citation and PDF for the paper is below. Bubak, A.N., K.J. Renner, and J.G. Swallow. 2014. Heightened serotonin influences contest outcome and enhances expression of high-intensity aggressive behaviors. Behavioral Brain Research 259: 137-142. Videos of a experimental trial – two stalk eyed flies battling in the fighting arena. The video was filmed during the experiment by the researchers listed in this Data Nugget! Video showing how the long eyestalks of males form!